Inside Duchess Kate and Queen Elizabeth II's 'Special Bond' - celebrities life, news, blogs, photos, gossip etc. A royal relationship. The bond between Duchess Kate and Queen Elizabeth II has flourished over the years, a source reveals exclusively in the new issue of Us Weekly. The Duchess of Cambridge’s title will change after William — with whom she shares children Prince George, 5, Princess Charlotte, 3, and Prince Louis, 11 Months — is named king. However, the pair will have to wait a little bit longer for that to happen. The Duke of Cambridge’s father, Prince Charles, is set to take over as king once Elizabeth retires. William, 36, will then take over the title upon Charles’ retirement. 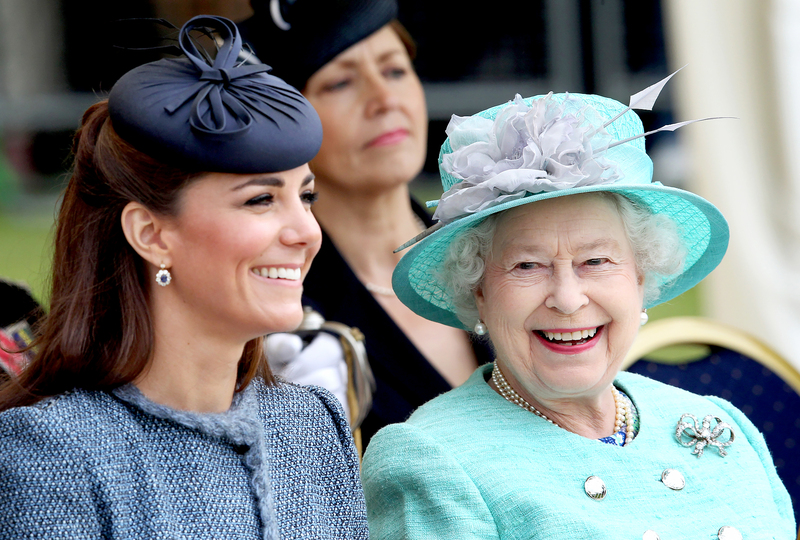 Last month, Kate and the queen stepped out together for their first-ever solo outing. (Kate and William tied the knot in April 2011.) The pair visited King’s College London on March 19 to see renovations made on campus and learn more about the university’s future plans. For more details on the relationship between Kate and Elizabeth, watch the video above and pick up the new issue of Us Weekly, on newsstands now!